This home owner experienced smoke damage throughout their home when a wooden salt shaker left on a hot area of the stove burned. All that was left of the salt shaker was the metal components. They called in SERVPRO of Madison South & West to do the smoke cleanup & restoration. The first 48 hours after a fire damage can make the difference between restoring verses replacing your property and belongings. SERVPRO of Madison South & West provides a timely response with mitigation services that range from fire, smoke and soot removal to contents claims inventory and document restoration. Our services helps to ensure that your property, belongings and memories are restored to pre loss condition when possible. This Madison, WI home experienced a water damage that affected their kitchen, hallway, living room, basement and utility room. 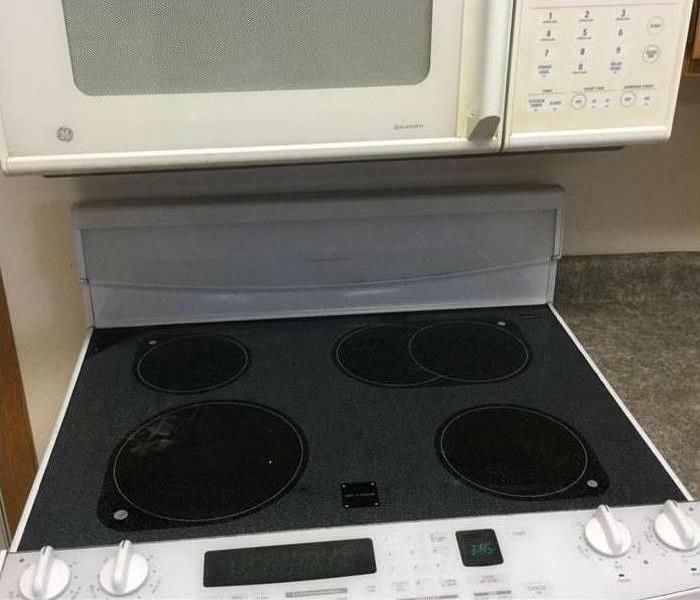 The owner was out of town when this had happened. They called SERVPRO of Madison South & West to handle the water damage repair and restoration. In this picture, our SERVPRO of Madison South & West professionals needed to remove part of the kitchen vinyl to expose the sub floor that was visibly saturated. 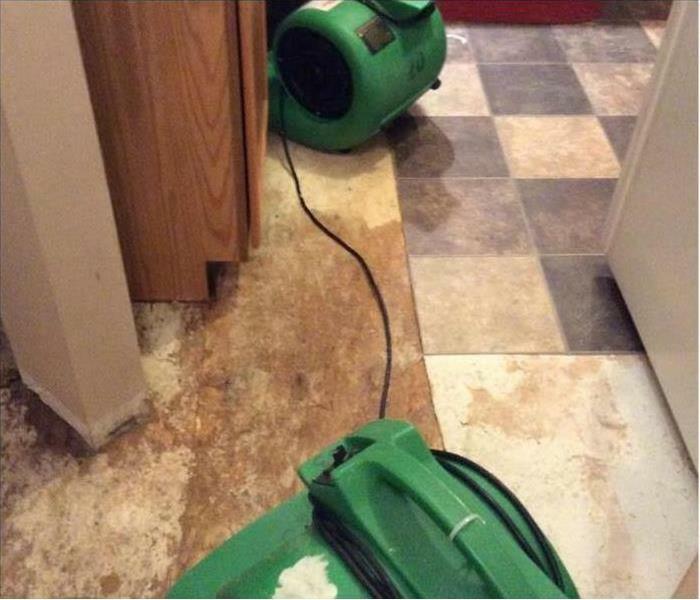 This is so our dehumidifiers and fans can properly dry things out so mold does not begin to grow. After assessing the situation, water extraction, drying and dehumidification, our crew will clean all of the restorable items and structures damaged by the water to get the customers property back to its original condition. This Madison, WI commercial property experienced a large water damage when one of the water pipes froze and burst during some extremely frigid weather. They called SERVPRO of Madison South & West to do the mitigation. A frozen pipe can burst at the point where the ice blockage inside the pipe is located, but typically the rupture is caused by the back flow pressure between the water source and the blockage. A burst pipe can cause considerable damage to your residential or commercial property if not addressed quickly. 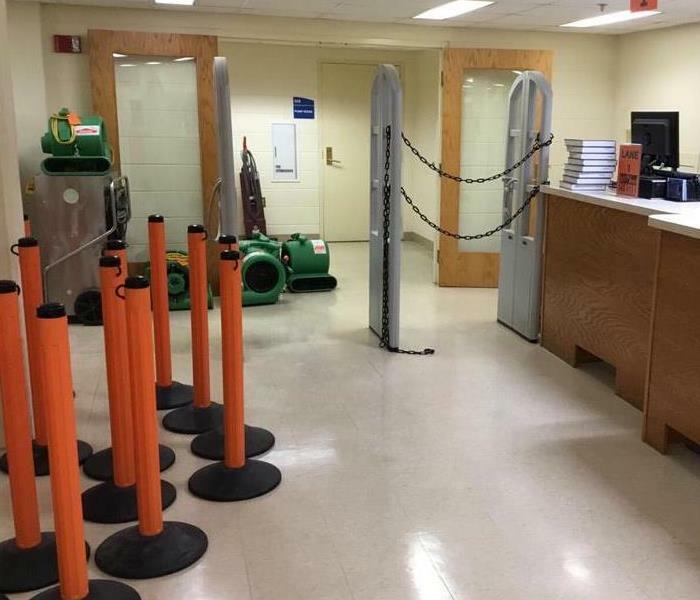 SERVPRO of Madison South & West is faster to any size disaster, bringing the latest equipment and training to help make the water damage "Like it never even happened." 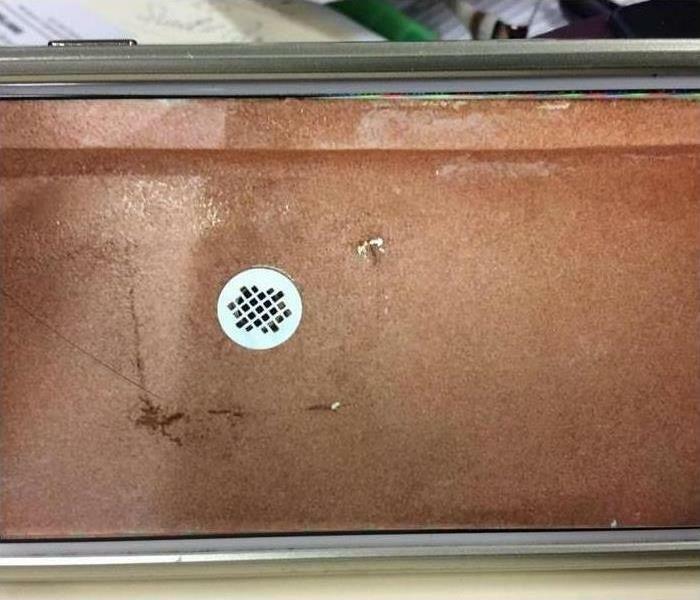 Mold— it comes in almost every color and it is pesky, to say the least. It is typically caused by bacteria combined with the hot, humid environment that our bathrooms provide, especially post-shower or bath. However, there are a few quick, cheap, and effective tips you can use to help get rid of bathroom mold and prevent it from coming back. 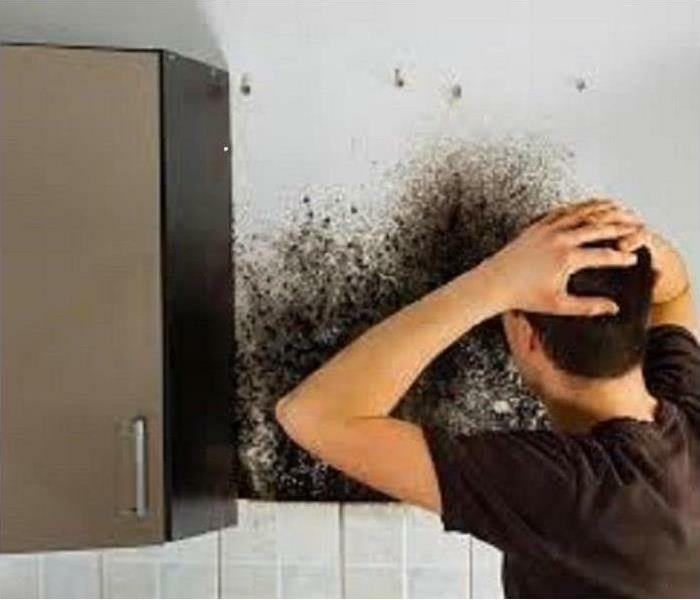 After showering, turn on an exhaust fan or open a window. Humidity provides the perfect breading ground for bacteria so good ventilation is key to removing moisture from the air. If humidity is still a concern: put charcoal briquettes in a bowl or basket and place it in the bathroom. The charcoal absorbs some of the moisture. Just keep it out of reach of children and pets. keep a spray bottle nearby and quickly mist the tiles and caulking after your shower with this natural anti-mold solution that takes no effort to make. Fill a clean spray bottle with water. Add 10 drops of tea tree oil to the mix. Place the spray bottle on the 'mist' setting. It takes about four seconds to spray the tiles and then you walk away. Now you are protected from mold. These ingredients are cheap, easy to find and are highly effective. This commercial property discovered mold growing in the walls and floor of the 3rd floor bathroom, and the ceiling of the 2nd floor bathroom. They called SERVPRO of Madison South & West in to do the mold remediation. Our SERVPRO professionals who are trained according to the Institute of Inspection Cleaning and Restoration Certification (IICRC) were able to properly assess the cause for the mold growth. The 3rd floor bathroom shower floor has a thin crack by the floor drain, causing water to leak onto the subfloor and 2nd floor ceiling. After removal of the 3rd floor shower floor, walls and door and the 2nd floor ceiling directly below, our crew were able to begin the mold restoration process. A leaky roof caused water damage in this commercial property in Watertown, Wi. 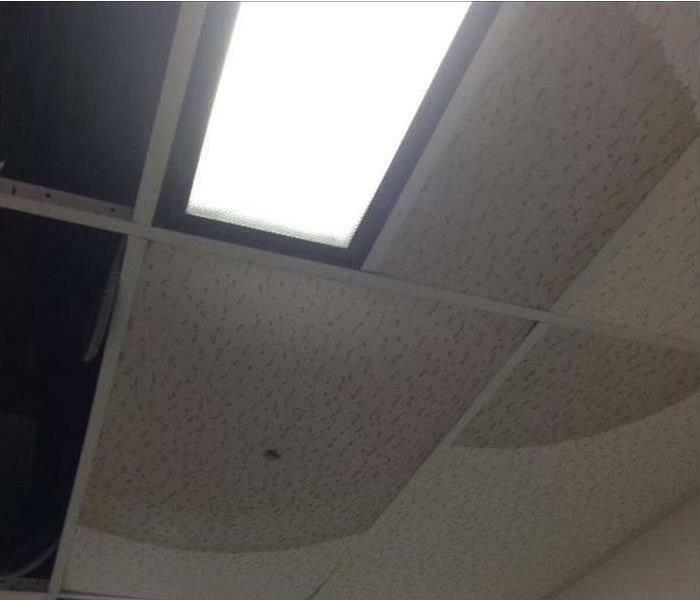 During a storm, water came in from under the roof, damaging ceiling tiles and flooding the carpet. SERVPRO of Madison South & West was called to do the mitigation. Within 3 days, this business was back to normal "Like it never even happened." This Madison commercial property became infested with mold from water leaking into the base of the floor and traveling down the walls in the room below. In cases like this, a home or commercial property can quickly become infested with mold when a source of water is present. SERVPRO of Madison South & West was called in to do the mold remediation and restoration. 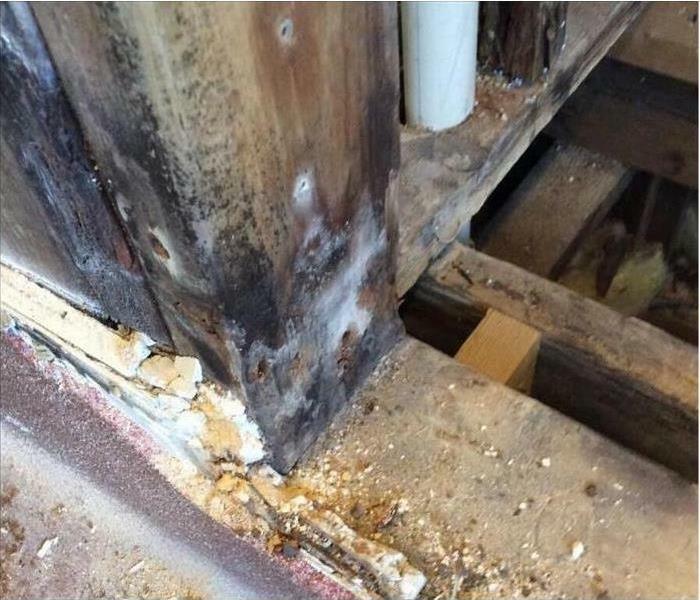 Our highly trained mold remediation specialists were able to perform an inspection and mold damage assessment to help them determine the best course of action. Once a containment was set up and proper air filtration was in place, our crew was able to begin the mold remediation and restoration process. 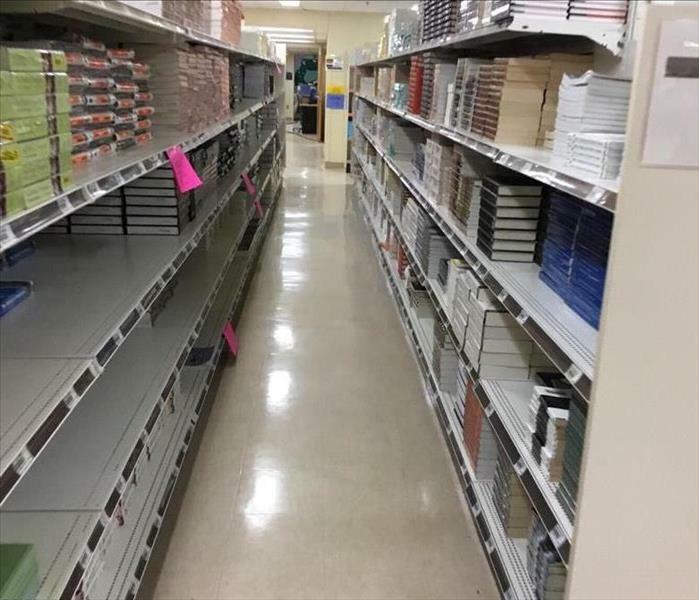 This Platteville Wisconsin bookstore suffered a water damage when heavy rain storms flooded parts of the area. They called SERVPRO of Madison South and West to handle the mitigation to get them back in business as soon as possible. Restoring storm- and flood-damaged properties is the cornerstone of our business. Our highly trained professionals use specialized equipment and advanced training to quickly restore your property to pre-storm condition. We’re dedicated to responding immediately, which helps to minimize secondary damage. SERVPRO of Madison South & West is locally owned and operated, so we are part of this community too. When you have a flooding or storm emergency, we’re already nearby and ready to help. 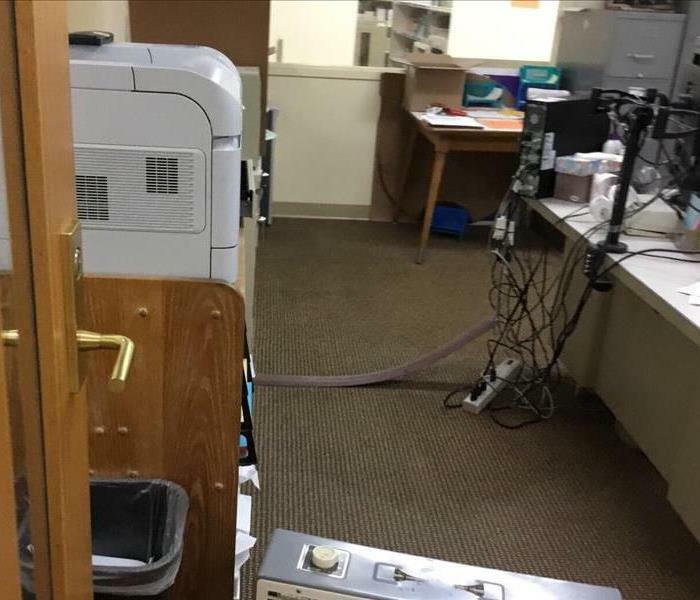 This office in Platteville Wisconsin suffer a water damage when several days of heavy rain flooded the area around the building. They called SERVPRO of Madison South and West to handle the mitigation. Storms and inclement weather can be devastating to any business. Wind damage, heavy rain, and flooding can occur suddenly and cause substantial damage in a matter of minutes. There’s never a convenient time for flooding or storm damage to strike your business. Every hour spent cleaning up is an hour of lost revenue and productivity. So when an emergency situation arises in your business, give SERVPRO of Madison South and West a call and we’ll be there fast with the help you need. Heavy rainstorms caused several water damages to homes and businesses in Platteville Wisconsin. This business called SERVPRO of Madison South and West when they needed help fast to minimize the time that their business was not in service. 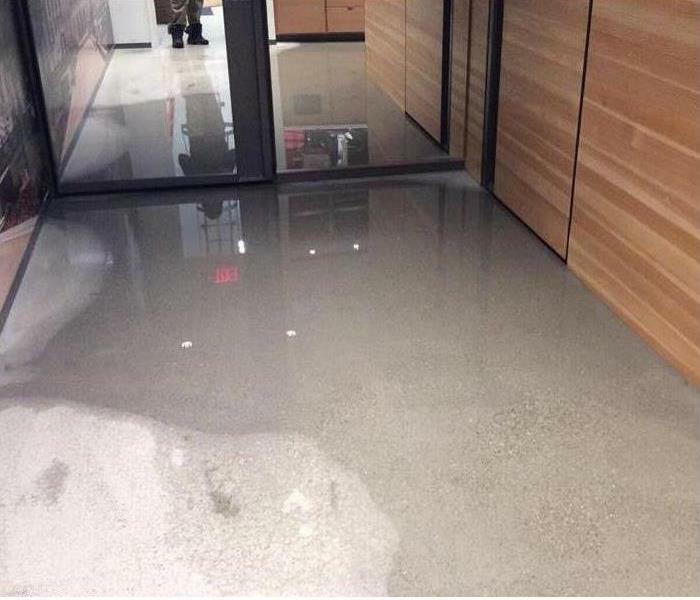 SERVPRO of Madison South & West will respond immediately to the storm or flood event affecting your commercial property, regardless of the size or scope of the damage. We are part of a national network of over 1,700 Franchises with special Disaster Recovery Teams placed strategically throughout the country to respond to large scale events and disasters.